BDS 43/Duo C I Adv 12912410 https://www.kaercher.com/tn/professional/floor-scrubbers-scrubber-dryers/single-disc-machines/bds-43-duo-c-i-adv-12912410.html Universal and versatile: the single-disc machine BDS 43/Duo C I Adv for efficient cleaning and polishing of hard and resilient floors, as well as for sanding parquet floors. Universal and versatile: the single-disc machine BDS 43/Duo C I Adv for efficient cleaning and polishing of hard and resilient floors, as well as for sanding parquet floors. 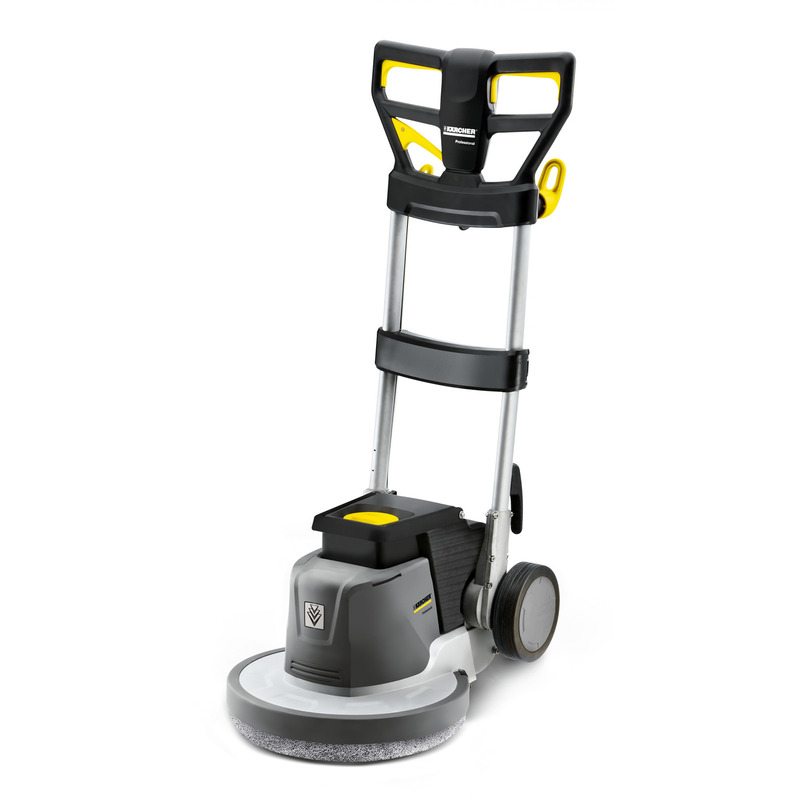 With a 430 mm working width, a powerful 1560 watt motor and the maintenance-free full-metal planet carrier, the single-disc machine BDS 43/Duo C I Adv impresses with its wide range of applications. Thanks to the wide handle, on which the desired speed (125 or 250 rpm) can be conveniently set, the machine is very easy to operate. Two robust aluminium bars guarantee perfect balance and therefore good handling. The BDS 43/Duo C I Adv is ideal for cleaning hard and resilient floors and textile coverings, as well as for cleaning, polishing and sanding parquet floors. An optional tank increases the contact pressure, without having a negative influence on the weight of the machine. Of course, it can easily be removed for filling. The machine features a practical cable stub and a corresponding extension cable for easy cable replacement (cable included in delivery).